Congress smells rat over delay in arrival of EVMS, halt in LED screen functioning outside-EVM strong room. BHOPAL: The Congress on Friday alleged there were a political conspiracy afoot by the ruling Bharatiya Janata Party (BJP) with regard to a case in Bhopal where the LED display screen outside the strong room where EVMs and VVPATs shut off for an hour-and-a-half and another case where EVMs from the Khurai Assembly constituency arrived late to the district headquarters in Sagar. On Friday morning, the LED display screen installed outside the strong room in the old jail campus of Bhopal, stopped functioning reportedly because of a power problem. However, district Congress chief Kailash Mishra and party leaders Girish Sharma (candidate from Govindpura) and Mahendra Singh Chouhan (candidate from Narela) reached the spot and took up the issue with the staff on duty. Bhopal’s district collector Sudam Khade also reached the spot to look into the matter. Later, state Congress media deputy in-charge Bhupendra Gupta alleged a political conspiracy. “Why has a generator not been installed at the strong room to ensure uninterrupted power supply till the counting of votes takes place? The person who was tasked with electricity supply and lighting arrangements at the strong room has told the collector that the power supply was shut down for an hour-and-a-half at the behest of a Sub Divisional Magistrate (SDM). This smacks of a conspiracy to tamper with the EVMs,” alleged Gupta. 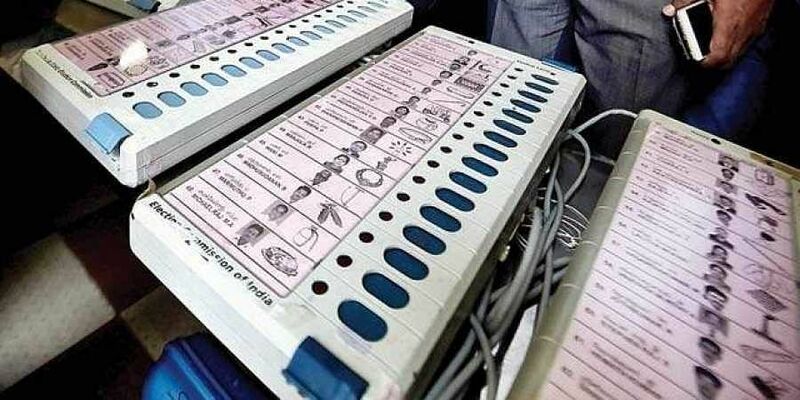 Meanwhile, another EVM related controversy erupted in Sagar district on the same day, when EVMs from the Khurai Assembly seat were brought to the district headquarters, 48 hours after the voting. While Sagar’s district collector and other officials said the machines which were brought to Sagar on Friday were unused or reserve ones, senior Congress leaders, led by Congress national secretary Govind Rajput, protested over the issue, alleging tampering of the machines. They alleged that before being brought to Sagar, the machines were kept at a hotel owned by the MP transport and home minister Bhupendra Singh, who is the sitting MLA and BJP candidate from Khurai seat. However, officials in the district administration, the delay in bringing the machines to Sagar occurred because the official tasked with overseeing the process in Khurai had fractured his leg after polling. The state’s Chief Electoral Officer (CEO-MP) VL Kantha Rao sought a detailed report from collectors of Bhopal and Sagar over both the developments.